A few weeks ago, Google announced that Wi-Fi Assistant would be coming to all Nexus phones over the course of the coming weeks. That appears to have started happening. Several Nexus owners are now seeing the option in their settings and are now able to take advantage of the data saving feature. 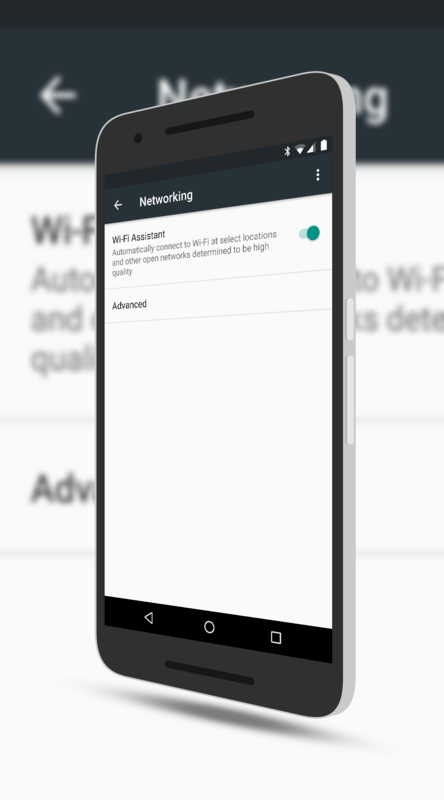 Wi-Fi Assistant to this point has been exclusive to Project Fi users which allows their devices to automatically connect to Google approved Wi-Fi hotspots securely and without any user intervention. It is a huge benefit to Fi frankly as it saves on data plan usage. It will connect your phone to Wi-Fi without you even knowing it. Now all Nexus owners will benefit from the feature. The good news is that it is all a back end change and there is no update required on your phone. able to take advantage of it. Given that Project Fi works on the Nexus 6, 6P and 5X, the feature is likely to roll to all of these devices. If you have a Nexus 6 or 5X, drop me a comment to let me know if you too are seeing the update. It is good to see Google expanding the Wi-Fi Assistant to all Nexus devices as it can really cut down on the data usage each month when you have the feature and your Wi-Fi enabled.